The Nord HP has a nice switch for controlling the leslie. It is also possible to connect a half-moon switch to the pedal (control) input to have a simple slow-fast toggle switch action. 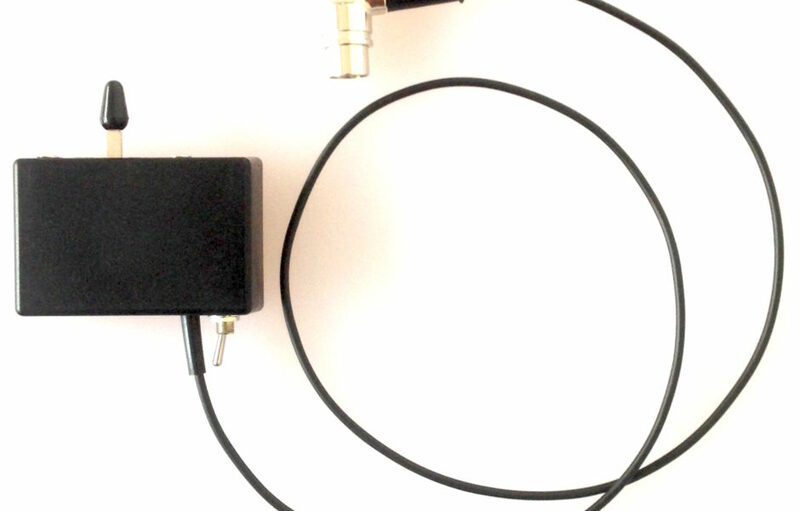 Now, in order to have a more traditional slow – stop – fast three-way half-moon Leslie(r) switch, I made this tiny midi-controller. 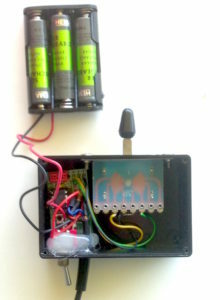 It consists of an ATtiny85 microcontroller, half-moon switch, battery container, power switch and standard MIDI cable. Through the angle bracket (IKEA shelf support surplus part) it can be mounted to one of the M5 holes at the front-under side of the Nord HP..